Book Club Book Review: How Bad Do You Want it? If you are looking for a book that tells you how to reach your goals, this might not be the book for you. But if you are looking for inspiration, for that push past your perceived limits, or for stories about athletes overcoming challenges, this book provides that and more. In How Bad Do You Want It?, Fitzgerald shares stories of athletes, both well known and obscure who ignored the voices in their head that told them to stop, to turn around, to quit. 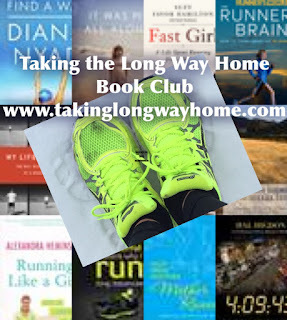 Throughout the book is advice and information to help the runner build their mental muscles to help them race their best. It was no coincidence that I chose this book for my April book club selection. With my bucket list race, the Big Sur Marathon, on the horizon, I wanted to read something that would drive me up those hills and across that finish line. Who knew that I would develop severe plantar fasciitis and have to bag my training plan, instead cross-training via bike and pool running? I needed all the motivation I could get, and I found plenty in this book. "Endurance sports are therefore a game of 'mind over muscle'"-Matt Fitzgerald. The book starts off with a discussion of the "psychobiological model" of endurance. Fitzgerald does a nice job discussing how the athlete perceives his effort versus what is actually going on in the brain. He says that the brain itself becomes fatigued during exercise, and this fatigue leads to an increased perception of effort. So the goal for the athlete is to change his thought process. He uses the term "the wall" to describe that limit, but states that an athlete can overcome that wall by working on mental fitness. 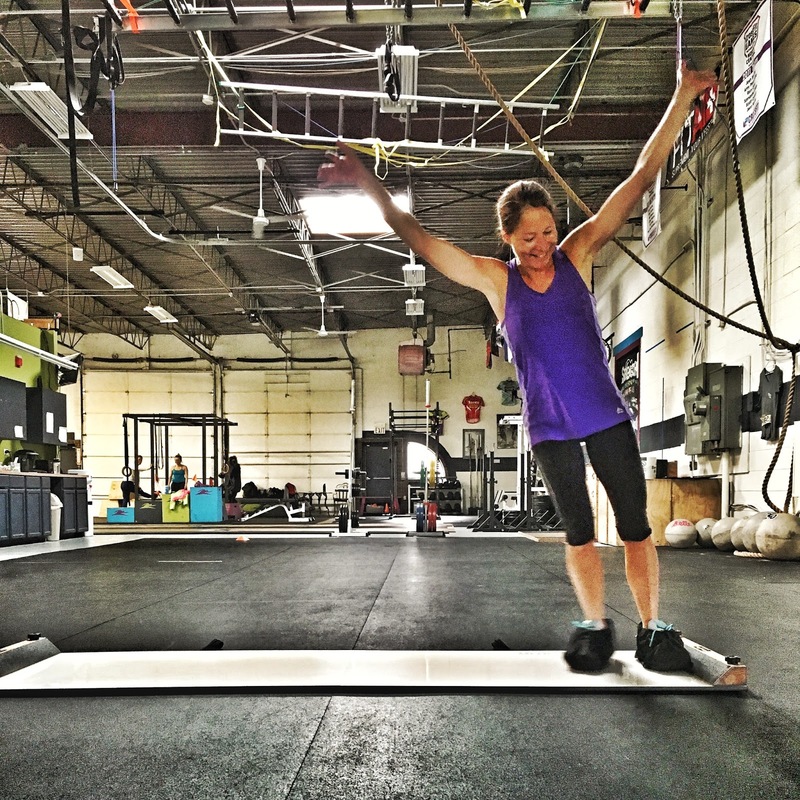 "The one thing an athlete can control is how she deals with what life gives her" -Matt Fitzgerald. This quote kind of reminds me of one of my favorite mantras, given to me before my first Chicago Marathon by my friend Sandy, who has completed an Ironman along with many other endurance events. She told me to "go with what the day gives you". I've taken that advice to every starting line since then. In the book, Fitzgerald says success is all attitude about the way an athlete feels. An athlete with a good attitude will perceive a lower level of discomfort and be able to push harder. Fitzgerald calls it "bracing yourself". He says you should always expect your next race to be your hardest race and prepare yourself for the worst to race your best. 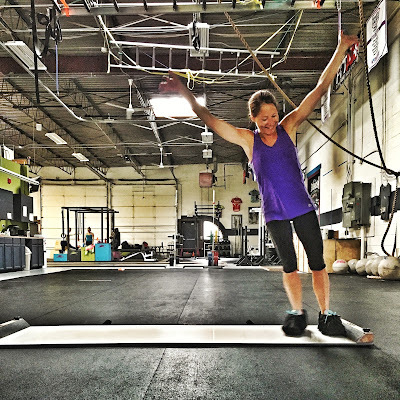 Besides giving the reader a mental pep talk, Fitzgerald shares real life stories of athletes who pushed themselves beyond their limits to achieve a goal. My favorite story was about cyclist Thomas Voeckler and the 2004 Tour de France where he pushed ahead and wore the yellow jersey way longer than anyone would have expected. He was dying out there, but he hung on until stage 15 before he succumbed to the inevitable. But even though he didn't win he was a hero in his home country of France. As riders say, "the yellow jersey gives you wings" to describe the phenomenon of riding better once they have the yellow jersey. The jersey made Voeckler push way beyond his abilities because he believed he could. The crowds cheered him on, and that too pushed him. Fitzgerald describes that as "the audience effect", where the presence of other people has a positive effect on performance. You've probably felt that at a big race, when a spectator calls out to you and tells you you're looking strong. I know I have! "The only good pace is a suicide pace and today looks like a good day to die".- Steve Prefontaine. He often asked himself "is it worth it?" referring to pushing himself to the limits of his endurance. Yet he always rose to the challenge. He was tough. 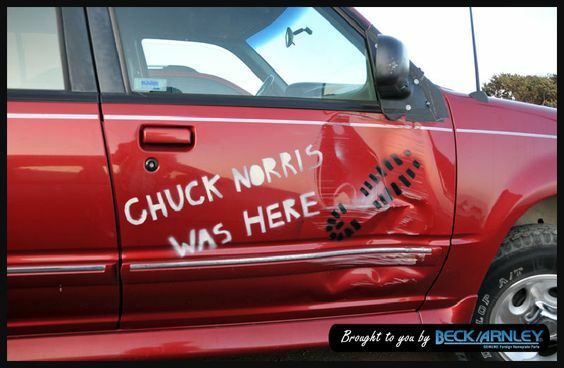 No doubt it was worth it to him. But the book isn't just about high performers. This book is for ALL runners. Fitzgerald talks about John Bingham as well. Bingham, who gave himself the nickname "the Penguin" is known for his slow, steady, back of the pack pace. He became the voice for a whole new group of runners. But in spite of admitting that he would never win a race, he still pushed himself to his limits. He encourages runners of all abilities to chase their goals of getting faster for that transformative experience that comes with trying as hard as you can. After reading this book, hopefully, we'll all be tougher runners. Just ask yourself: How bad do you want it? Give it your best, no matter what your best is. What did you think of the book? Did you draw motivation from the stories? How do you get your head in the game during a tough event? Here's the link up badge! You can find the link up at the end of the post. The link up stays live for 2 weeks--it will close April 1, but the comments stay live forever! Don't forget to link back to this post, and please read and comment on the other reviews. If you want to review a different fitness-related book, please feel free to link up with us as well! Remember, sharing is caring! I'm so grateful to all of you who participate in the book club! Next month we are reading Running: A Love Story 10 Years, 5 Marathons, and 1 Life Changing Sport by Jen Miller. This sounds like a book any us of could have written! Jen is a writer for Runner's World as well as the New York Times. I'm really looking forward to this one. There were two big stories this past week about cheaters that rocked the amateur running and triathlon worlds. One involved a blogger and a bib exchange for Boston, the other, a triathlete whose winning ways started to unravel. Cheating and doping in professional sports seems to be the rule rather than the exception these days. For professional athletes, the stakes are high. But for amateur athletes? All you've got is your glory. Is it worth it? A few years ago, I wrote a blog post calling out cheaters and inducting them into my Great Liars in Running Hall of Shame. I wrote that post after several runners used a picture of woman's Boston Marathon bib to run the race and collect a medal after seeing her pre-race post on Facebook. While researching that post, I found quite a few interesting stories about cheaters. I had to dig deep, though. There weren't a ton of stories at that time. Since then, there have been some more well-publicized stories about cheaters. I've had several new inductees into the Hall of Shame which I wrote about, here and here. Sadly, it seems to me that stories of cheating in amateur events have become rampant. This past week, two women were called out for cheating. One was Gia Alvarez, of the blog RUNGiaRUN. The story goes that Gia, who qualified to run Boston in 2015, was unable to run so she gave her bib to another runner. That runner ran a qualifying time, under Gia's name, and Gia registered to run this year's Boston Marathon. Gia used the finish time run by her friend who wore Gia's bib. Confused? I was, initially. Let's break it down. There are two wrongs here: first of all, Gia gave away her Boston Marathon bib when she couldn't run the race. I know, I know, people do this all the time. But this is the freaking Boston Marathon, where qualifiers miss the cut off by a minute or less. A few years ago, a friend of mine just missed the cutoff, and she was devastated. So the way I see it, Gia's friend took a spot that a real qualifier could have used. Maybe you still think it's ok, because Gia earned that spot, and she can do whatever she wants with the bib. Right? Well, I don't agree with that line of thinking but that's my opinion and it's my blog. Anyways, what about Gia running Boston this year using the bib that her friend earned? Sure, it was on the bib Gia gave to her friend, so technically it was Gia's bib. Right? And if my son wants to go to Harvard, he should get the smartest kid in his school to take the ACT for him. By the way, I really want to run Boston, so maybe my friend Sara, who is sure to BQ at Boston this year, could give me her bib and I could run under her name in 2017. Does she really need to run Boston more than once? Sara? Hello? Wouldn't that be asking a lot of a friend? Not only is Gia banned from all future BAA events, but it looks like her friend will be joining her in purgatory. Isn't that what friends are for? Sorry, but to me, two wrongs don't make a right. Apparently I'm not alone in my thinking. The running boards on Let's Run have been going crazy with little or no support for Gia. She does have her supporters, though. And the blog lives on. Another story, this one about a triathlete, Julie Miller, who won her division at Ironman Canada 2015. The second place woman challenged her, reporting that she never saw Miller on the course. Other women also reported not seeing Miller on the course. An investigation by course officials determined that there was no way Miller could have completed the course without cheating. She was DQ'd. Soon after that, she was DQ'd from previous wins at other events and has been barred from competing in any Ironman events. Her excuse? She says she "lost" her timing chip that was attached to the velcro strap around her ankle. Turns out she "lost" her timing chip at other races as well. I'm not a triathlete, but from everything I've read, the velcro strap sometimes comes off during the race but no one has ever reported a "lost" timing chip. And to lose the chip at multiple events? The New York Times posted an article detailing the investigation which you can read here. What I read was disheartening, as are all these stories. What's also disturbing to me is the increasing frequency with which these types of events are being reported. 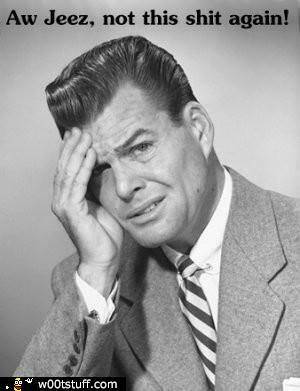 There's even a blog devoted to all things cheating called Marathon Investigation. We're all amateurs out here, folks. While it's exciting to win an award--I won a few AG awards myself last year--is it really worth cheating a course to win an award? There's no money involved, maybe an extra medal, a pint glass, or something fun, and a few moments of glory when they announce your name. Plus the knowledge that you are pretty damn speedy. I get that. When I ran the Sarasota half marathon this past March, I knew it was going to be a long shot for me to place in my AG. I looked at last year's results, and I learned that those old ladies can run fast down there. Factor in the heat and humidity, neither of which I would be able to prepare for in the frozen tundra which is winter in Chicago. As I ran the out and back course in Sarasota, the thought occurred to me that there were several points where I could have turned around early and cut some significant time off my finish. I would never do that because I couldn't live with myself knowing that I cheated. But it made me think about people who do. I bet it is way more common than we think, especially on an out and back course. And no, I didn't even come close to placing in my AG in Sarasota. I came in 22nd place. Which is exactly where I should have been. Would it be worth it to cut the course short? 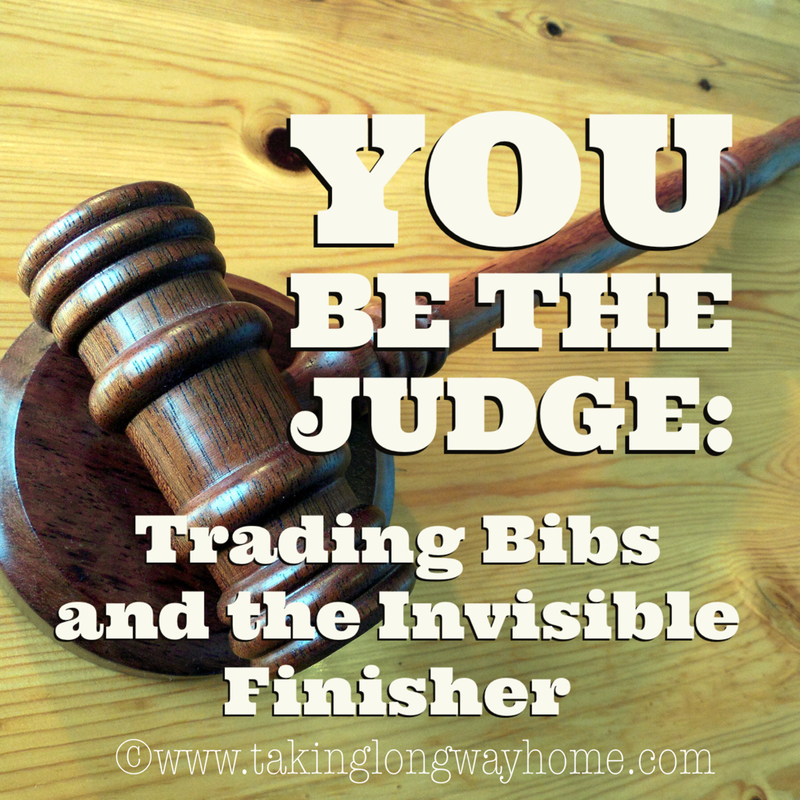 Have you ever used a bib that wasn't yours or given one away? Have you ever seen anyone turn around early on an out and back course? What do you think about Gia and her friend? Do you think being banned from all BAA events is too harsh? What about Julie Miller? Should she be banned from all Ironman events? Have you ever lost a chip in a triathlon? I'm linking up with DebRuns for Wednesday Word. Today's word is judgmental. Maybe I am. I wonder if the other bloggers are. Check it out! It's getting real. Only 2 weeks to go until the big show. The foot continues to stay quiet and I'm feeling more excited than nervous! Here's how the week went down. Monday: I went to yoga at the studio. The entire class was done at the wall, which really helped me get into my hips. I was a little sore after my long run/long bike the day before, and the class really helped loosen me up. Tuesday: I had an 8 mile run on the plan, so I pool ran for 73 minutes. I know, it's not an even number, but the lifeguards kicked me out of the pool at 8 am so the pool noodle class could begin. Wednesday: With hill repeats on the plan, I put the bike back in the trainer and decided to do another GCN class. This one was called Extreme Fat Burning Workout. It was a spin class with tough intervals. Even though it was only 50 minutes long, it was 50 minutes of hell. I was a drippy, sweaty, tired mess after this one. A worthy substitute for those hill repeats. Hero pose. Feeling infinitely grateful for all that I can do, even while injured. 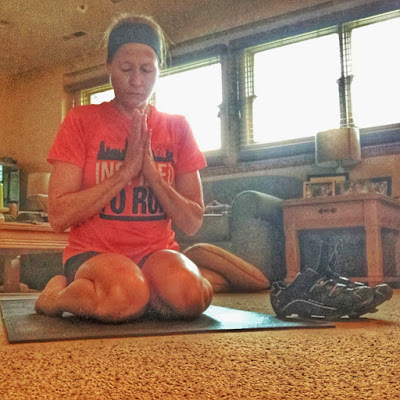 I did yoga at home after that, doing my own Post Run Yoga workout. Thursday: It was back to the pool for 60 minutes of pool running. The weather has been awful this week--it was snowing this morning--and I'm not minding my indoor workouts at all. No selfie from today's swim. I think the lifeguard is on to me. Oh my gosh is this fun! But oh my gosh was I sore the next day. After pool running, I went to see Becky for CrossFit. She changed things up a bit today. I was excited to see her pull out the slider board. So fun! She also had me do some hip work with the resistance bands. Then there were Romanian deadlifts. Followed by an all out row for 3 minutes again. I continue to improve on my pacing with that. I met Marcia and Sara for lunch and we talked all things running. Sara's running Boston next week and she has been killing her training. I'm pretty sure she will BQ again. Marcia, who has run Boston a few times, gave Sara some last minute advice. And both of them listened to me moan and groan about my PF. We forgot to get a picture, but trust me, it really happened. 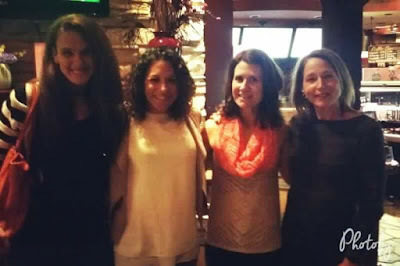 Friday: Today was a rest day but I had another runner meet up, dinner with Michelle, Penny, and Debi! We had never met Debi before but knew her from her FB page, Girls Run the 901. She was in town for the Lakefront 50k. Isn't it great meeting FB friends in real life? 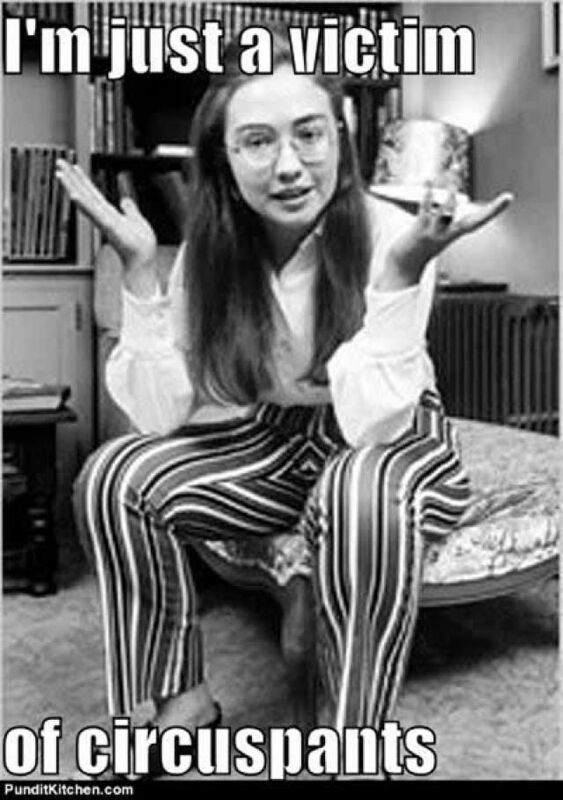 It's like we all knew her. She has the cutest southern accent and is a nice as you would imagine. The day got better, though. 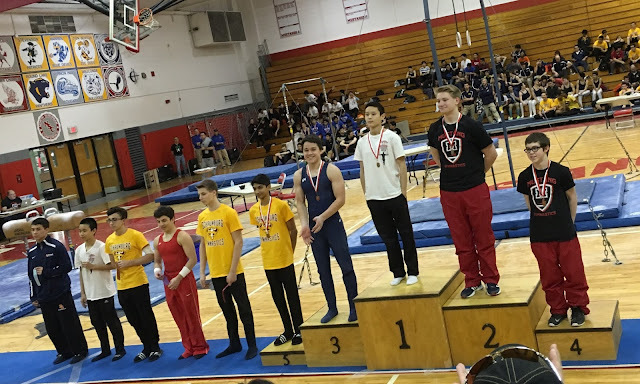 I watched my youngest son compete in an area high school invitational gymnastics tournament where he placed 3rd out of 42 boys on the high bar. I may have cried. And he let me hug him. His team placed 3rd out of 14 schools. What a day. There he is, 3rd place. On the podium! I'm so proud! The hay's in the proverbial barn! 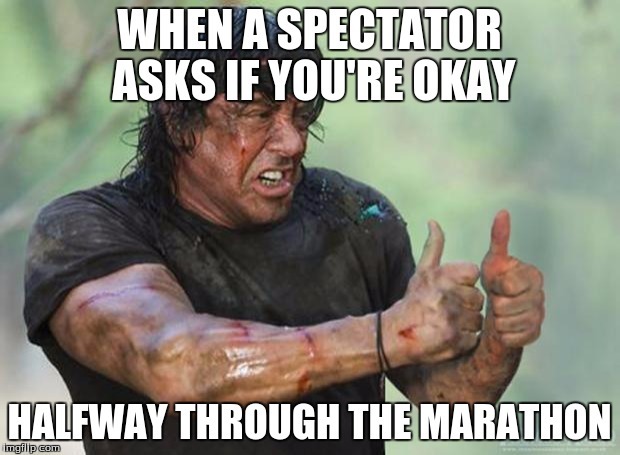 I thought to myself that this is how you should feel when you've trained for a marathon. 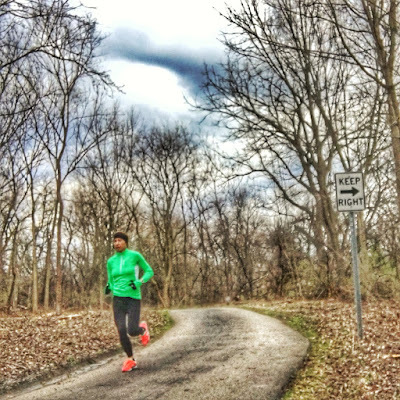 You've done all your work--speedwork, hill work, tempo runs, long runs--and 2 weeks before the race, you should feel loose and ready. What amazed me about this run is that in spite of very little time on the road the last couple of weeks, I feel ready. Is it the pool running? The cycling? The weight training and CrossFit that Becky has been doing with me? Whatever it is, I'll take it! How was your week? What's the weather been like by you? I'm so ready for spring! I'm linking up with Holly and Tricia for their Weekly Wrap! It's a great place to catch up with everyone and see what they've been up to. As a runner, there will most likely be some point in time when you need to take a break from the road..be it due to fatigue, illness, injury, or just because you want to. If you want to maintain fitness, there are a lot of options. 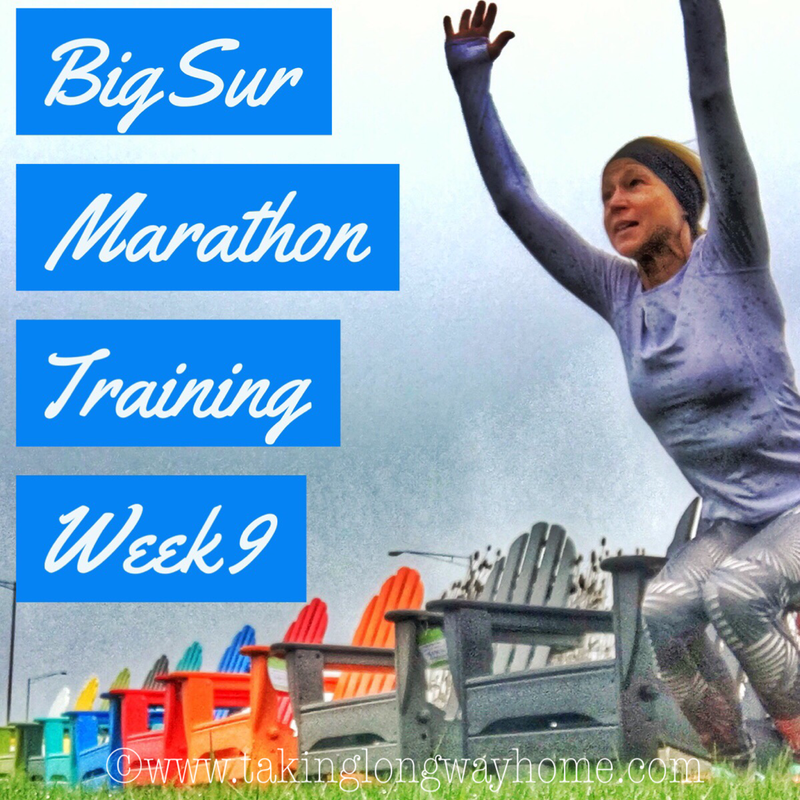 While dealing with plantar fasciitis and training for the Big Sur Marathon, I was really nervous about not running. 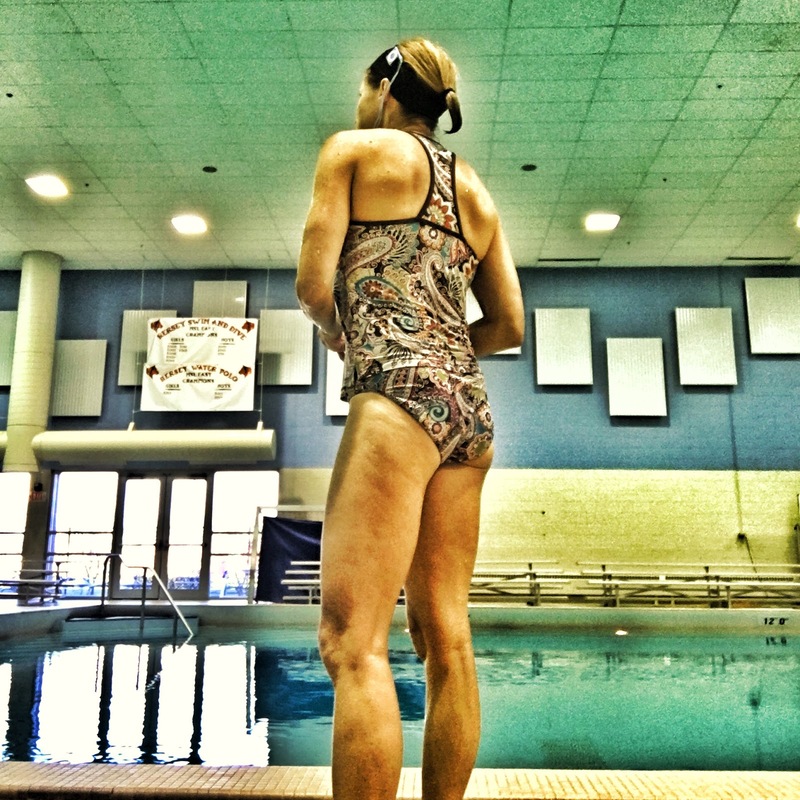 My sports medicine doctor, as well as several of my running friends, suggested pool running. I decided to jump in and found it to be a worthy substitute for pounding the pavement. 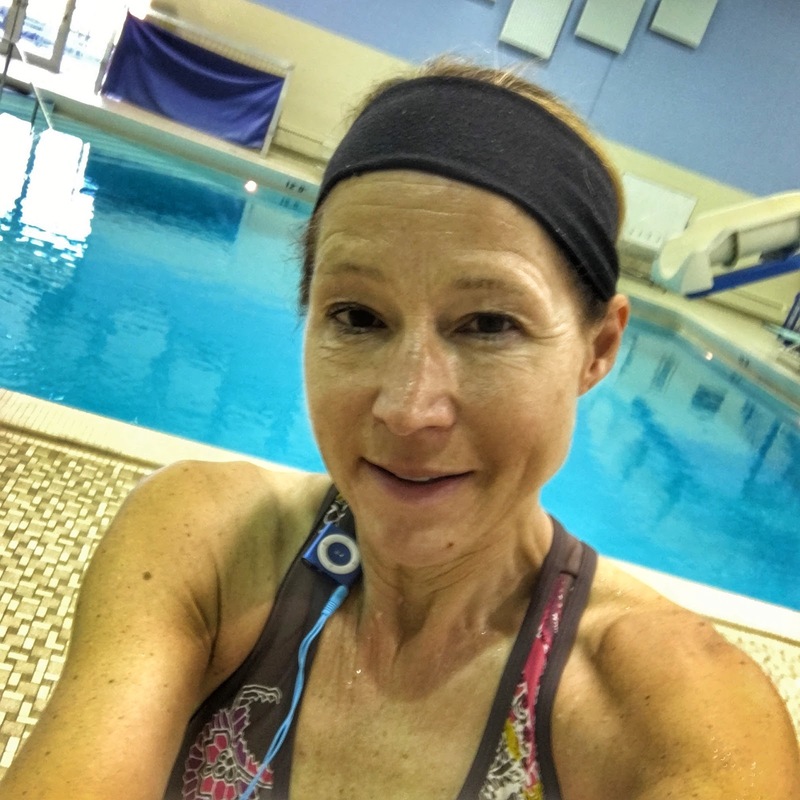 Have you considered pool running as an alternative workout? I'm no expert on pool running, but I've got some thoughts to share with you. Pool running is simple, but it is hard. I don't want to scare anyone off here. Let me just say that it is not as difficult as actual swimming. You don't even need to know how to swim to pool run. For pool running, I wear a floatation belt, but I have read that some people pool run freestyle. That would be really hard. My goal is to keep moving forward, and by wearing the belt, I don't have to worry as much about my form. 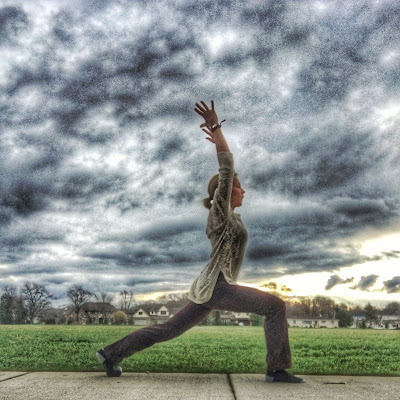 You want to stay upright, just like you do when you run. When I pool run, I just get in the pool and literally "jog" forward. With the water resistance, you don't move very fast. That can be deceiving. I try to take short strides and get my legs moving as if I were running. I make sure to lift my knees. My hands are cupped and I move my arms back and forth in the water. I don't stop the entire time. Make sure you are working and getting your heart rate up. Sometimes I'm puffing. My face actually sweats a little bit. When I finish my workout, I'm tired, as if I went for a long run. And I want to eat all the food. 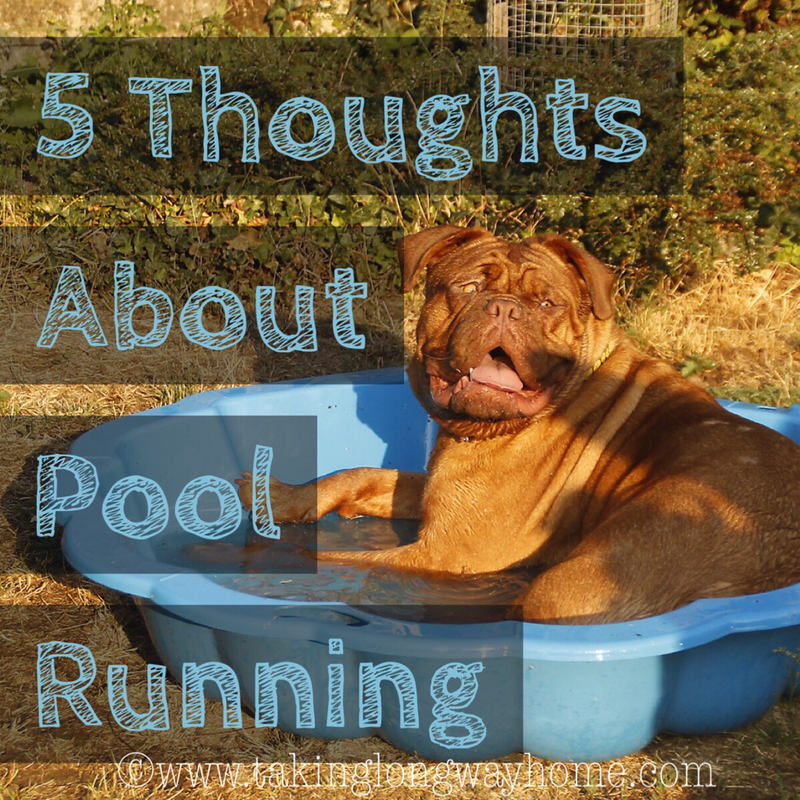 Plan on your pool runs to be the same length of time you would be running on the road. Pool running is boring. Like treadmill running, you're not going anywhere for a while. At the suggestion of my pool running friends, I purchased a waterproof iPod shuffle and it was the best money I've spent. Actually, the only money I've spent, except for having to buy a new iPhone after I drowned my previous model when I trusted a waterproof phone case. Trust me on this. Get the shuffle. 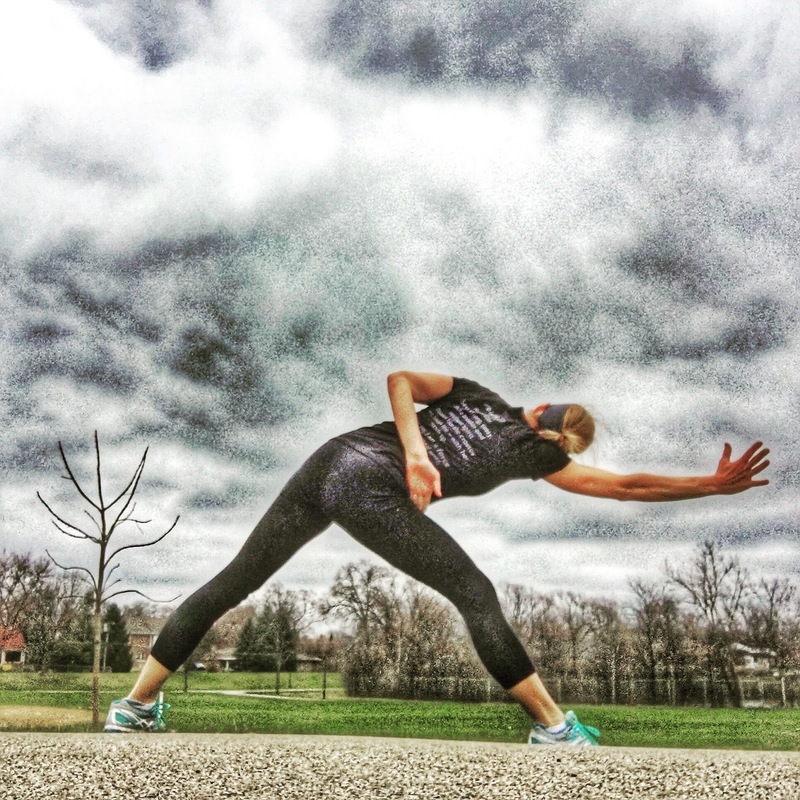 I listen to my running playlist, which I associate with some pretty great road runs. Those songs really motivate me. Today I had the thought that this would be a good time to try podcasts as well. Notice the waterproof iPod shuffle clipped to my strap. The earbuds are waterproof as well. Winning! Even thought pool running is boring, I had the thought that even more boring would be the lifeguard job. Sometimes I'm alone in the diving well, and I get my very own babysitter lifeguard. They're all young adults who won't take their eyes off me but won't make eye contact with me. It's a little unnerving. Maybe I remind them of their mom. But seriously, how boring to watch me jog in the water. Most of them keep pacing around the pool. I'm sure they'd fall asleep in the chair otherwise. There's chlorine. When I go home after my pool running sessions, I immediately shower and wash my hair, but I still smell chlorine for hours after. Normally I like the smell of bleach. Being somewhat of a germaphobe, that chlorine smell just feels reassuring. But after pool running this smell stays with me for a long time. I think it permeates my nostrils. When I'm done at the pool, I kind of get a headache and feel a little queasy too. Is it the workout? Or the chlorine? 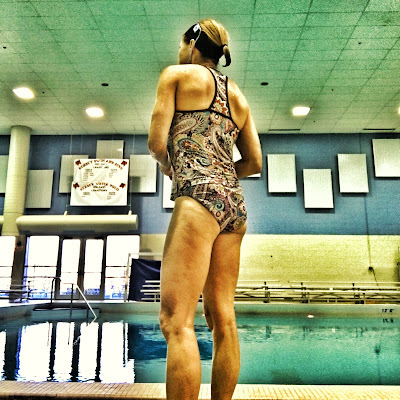 Should I be fueling during my pool runs? Then there's my skin, which now resembles tissue paper. I liberally lube up my skin with shea butter after a swim but my skin just soaks it up like a sponge. My iPhone doesn't even recognize my wrinkly thumbprint when I try to unlock my phone! In the morning, there are a lot of elderly swimmers. 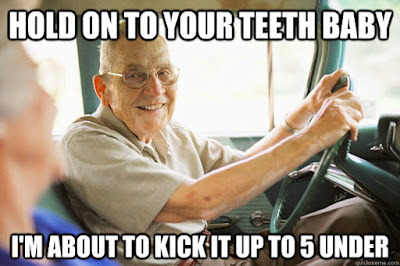 It's kind of like a geriatric happy hour. I'm usually the youngest person there. While I'm jogging around the dive well, I have to share the pool with the pool noodlers, the elderly women who drift back and forth on their foam noodles. They gossip and talk about all their maladies. I've heard them talking about knee replacements, whose funeral they went to lately, their grandkids...and I think to myself: is that my future? Horrors! 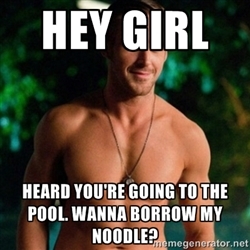 But I don't want to be a pool noodler! On the other hand, at least they're moving, right? I'm lucky I get to go pool running. At any given time, there are plenty of injured runners, and I've learned that a lot of folks don't have access to a pool. The park district in my town has one indoor pool, and I feel really fortunate that I get to use the diving well. There are only 2 mornings per week that the diving well is free, and that's when I go. The lap pool is open every morning. I've never done pool running in the lap lanes. I'm not sure how well that would work because it's much shallower in the lap pool and most likely my feet would touch the bottom of the pool. Plus the lap swimmers probably wouldn't be happy with me sharing the lane. I've been pool running for about 3 weeks and my PF has calmed down nicely. I don't know if it's time off my feet or if the motion in the water is helpful, but whatever it is I am grateful. Most likely I'll be continuing with the pool running for a while after Big Sur. It's not a bad backup plan at all. Here are some links to articles on pool running, if you want to learn more. Have you ever tried pool running? Any suggestions for funny running podcasts I could listen to? Any great body lotion to combat chlorine-induced dry skin? 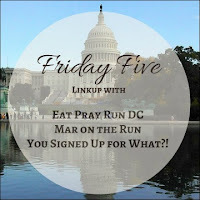 I'm linking up with the DC Trifecta for Friday Five. Today's theme is fitness. I'll be fittin' this post right in with the theme... Anyways, Courtney, Mar, and Cynthia host this fun gathering! Check it out! I've never considered myself to be brave. In fact, most of my life I've suffered from anxiety and a lack of confidence. I know that probably comes as a surprise to most of you who read my blog. All those races I run? It has taken an enormous amount to mental energy to push myself to the starting line of most of them. But I realized early on that if I wanted to live life to the very fullest, I would need to put on a brave face and push myself out of my comfort zone, both on the road and off. It hasn't always been easy but yes, it has always been worth it. In 2014, I won a free entry to the Chicago Marathon and made up my mind to redeem myself from my disappointing first attempt in 2011. Yes, I was so demoralized by that race that it took me 3 years to get up the courage to try again. Would I have done it if I hadn't won the entry? Who knows. But I took it as a sign that it was a chance to put on my big girl running pants and conquer the beast that had been haunting me. To run the race I knew I had in me. 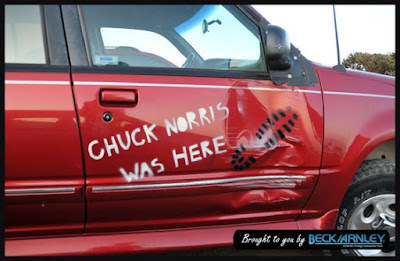 My friend Marcia kept telling me that I had "unfinished business". Are you brave enough to conquer your demons? Are you brave enough to leave your comfort zone? Are you brave enough to chase your dreams? Are you ready for change? Maybe it's the middle age talking, but I have a lot of things on my bucket list yet to be accomplished. Some are running related, some not. I'm at this point in my life where a lot of my friends and yes, my husband, are becoming content. Complacent. There's an expectation that with middle age comes an eventual slowing down. 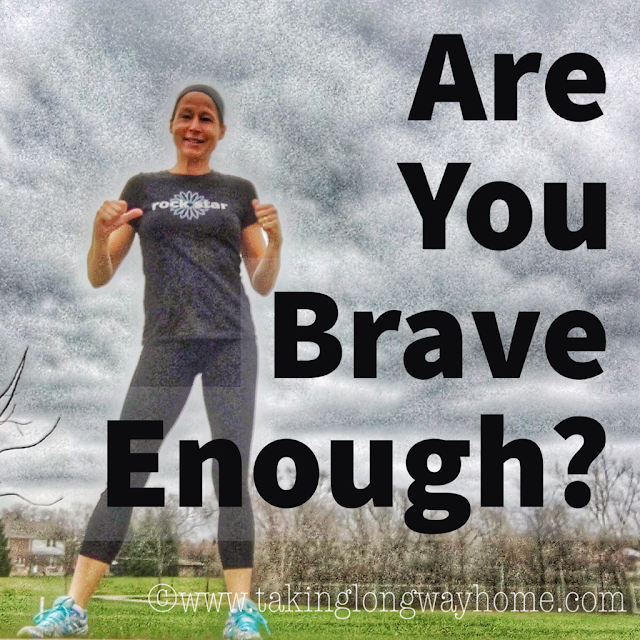 Am I brave enough to push beyond expectations? 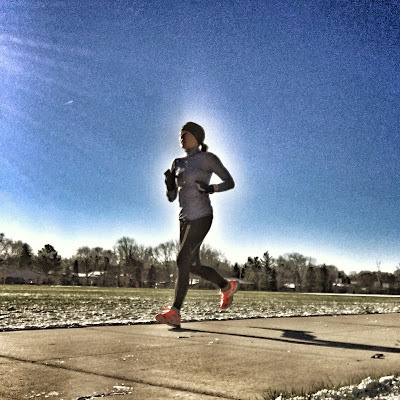 There are a lot of runners out there who will tell you running changed their lives. I am one of them. Crossing the finish lines of the many long distance races I've run has given me confidence, kept my anxiety at bay, and pushed me beyond expectations. And yes, I've become brave. Brave enough to push my pace hard to PRs and AG awards. 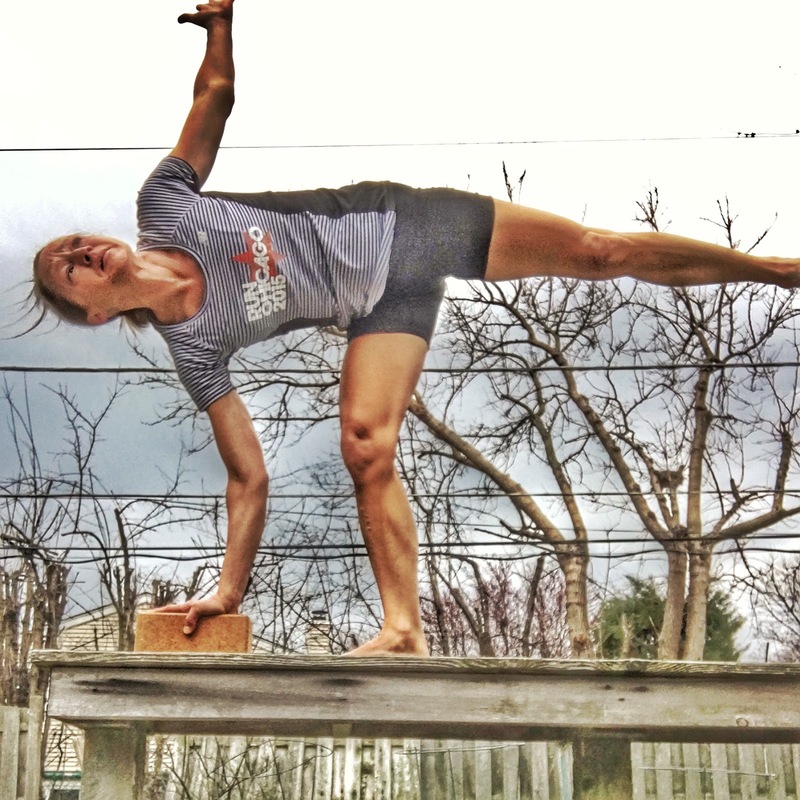 Brave enough to swallow my pride and enlist the services of a badass, tough as nails CrossFit coach. Brave enough to take up cycling and yep, those dreaded clip-in pedals. Because we all know what a clutz I am. But I like to go fast. So I had to be brave. 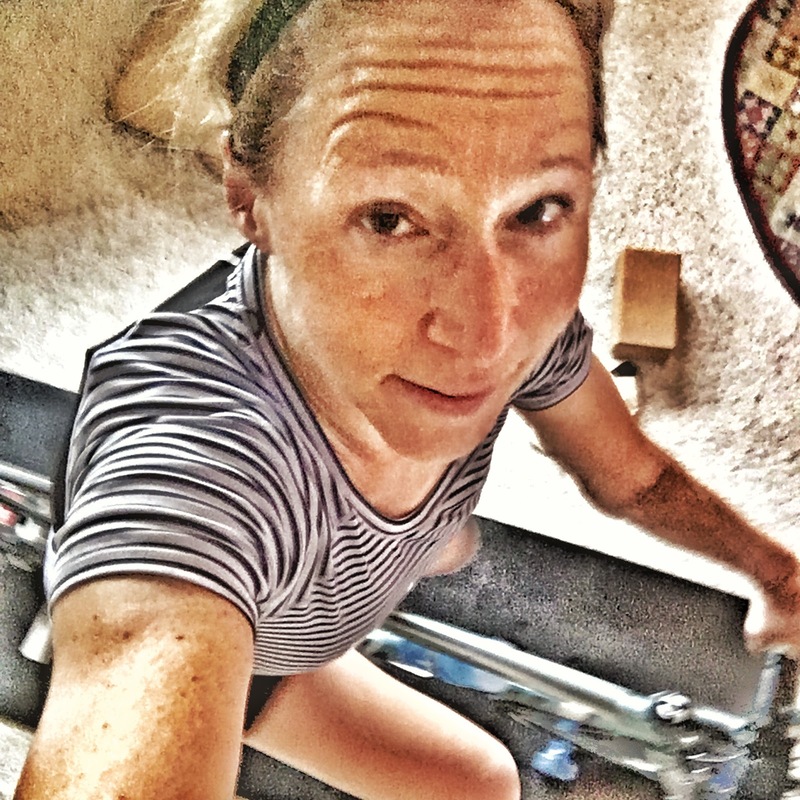 Brave enough to push forward with this marathon training cycle, even with minimal road time and maximal cross training. Brave enough to push outside of my comfort zone. So many times. You know what? Nothing great happens there. And scared to stop being brave. Because what will happen when I do? I love that I can do hard things. I love that in spite of not being able to run as much as I want to right now, I can transfer that level of fitness to other activities like cycling and pool running. I love that I can lift heavy things. More than anything, I love that I'm crushing expectations. I'm getting stronger and I'm getting faster. I've become brave. Both on the road and off. 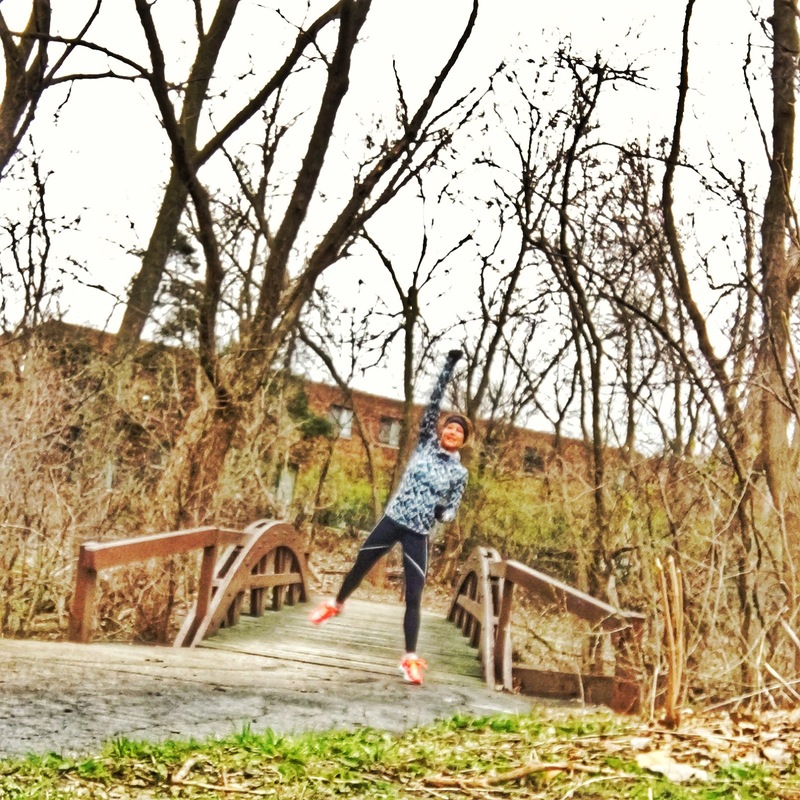 Because for me, it always comes back to running. Running has made me brave. Running makes me push my limits and define who I am. Don't let the way others see you define who you are. Be brave. Leave the comfort zone. And let it change the way you see yourself. I'm linking up with DebRuns for Wednesday Word. 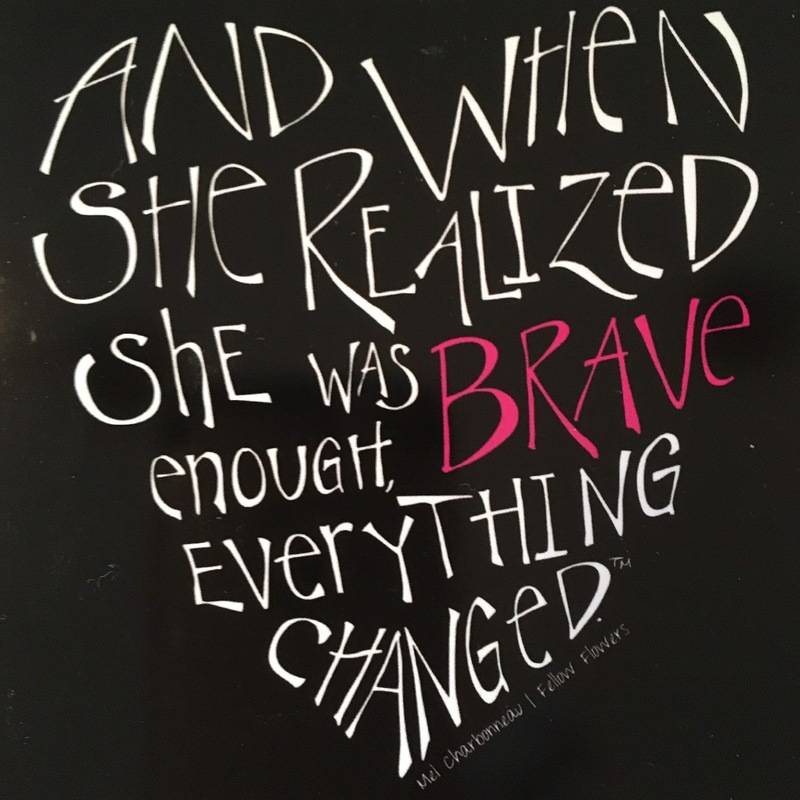 Today's word is brave. Check out what everyone else is saying about the word brave! I finally settled down into my "new" training plan for the Big Sur Marathon, which involved very little running and a whole lot of cross training. I was pleasantly surprised by the week, and I feel a whole lot more confident heading into the final stretch of my marathon prep. 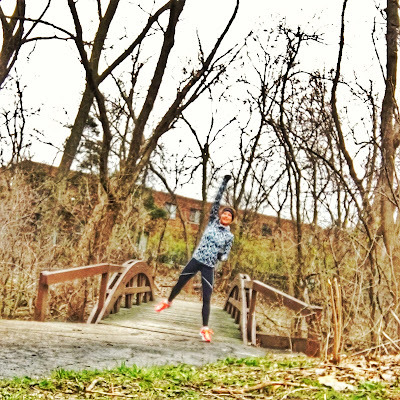 Tuesday: I had 8 miles on my marathon training plan. I put on my big girl bathing suit and went to the pool for some pool running. Armed with my new waterproof iPod, I "ran" around the diving well for 70 minutes. I had some company this time. There were 3 "pool noodlers" drifting back and forth across the diving well. There was also a guy hanging out in the middle of the diving well. He wasn't moving, and he was there for the longest time. Not sure what he was up to, I kept close to the perimeter of the pool. Eventually, he got out of the pool and went to the sauna. At exactly 8 am, the lifeguards blew the whistle and I had to get out of the pool. Since it would have taken me about 70 minutes to run those 8 miles, I felt like I had an equivalent workout. Minus the pounding on my feet. Happy with my "run"! And my tunes. After I finished, I should have gone to yoga class but instead stayed home and did Rodney Yee's Power Yoga DVD. I've been doing this one for years, and it's a great total body workout. It was a nice substitute for my studio class. Half Moon on the bench. A balancing act. With wind. Thursday: It was back to the pool for more pool running. I only planned on an hour today. For the most part, I had the diving well to myself. The chatty lifeguard was there today, and he kept me company for about 20 minutes. The rest of the time I listened to my music. I felt like I finally got the hang of pool running--I felt like I was actually running, not just flailing around the pool. At the end of the hour, I wanted to keep going, but I forced myself to stop. That's a good sign, right? Then I went to see Becky for some CrossFit. She hooked me up to the sled and put resistance bands on my ankles, having me monster walk across the gym. I also did sumo deadlifts, leg lifts on the GHD machine, and V-ups with a ball that I passed back and forth from my ankles to my hands. Let's just say my core needs a little a lot of work. It was kind of embarrassing, really. I finished up rowing all out for 3 minutes. 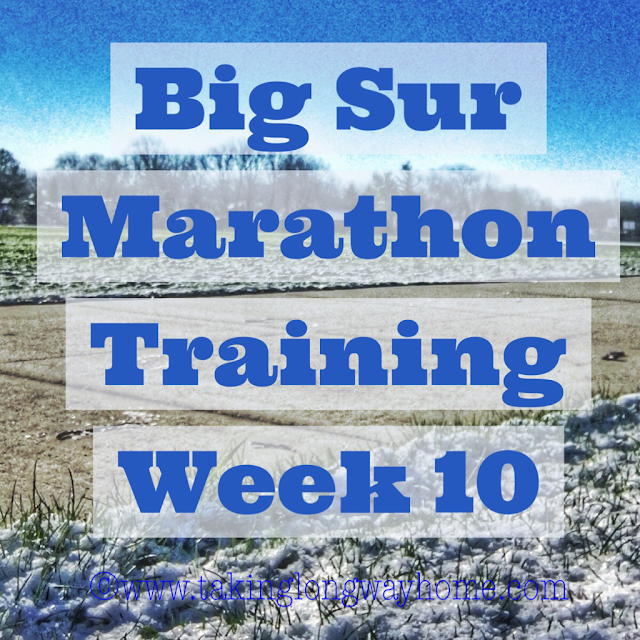 Both Becky and I were thrilled to see that my pacing improved dramatically from the past 2 weeks. Friday: Rest Day. But I couldn't pass up the amazing morning sky, and stopped to grab a high lunge on my way to work. Yes, it's snowing! It's spring in Chicago. I changed out of my sweaty clothes, drank a protein shake, refilled my Tailwind, and headed back out to the bike path, this time on my bike. 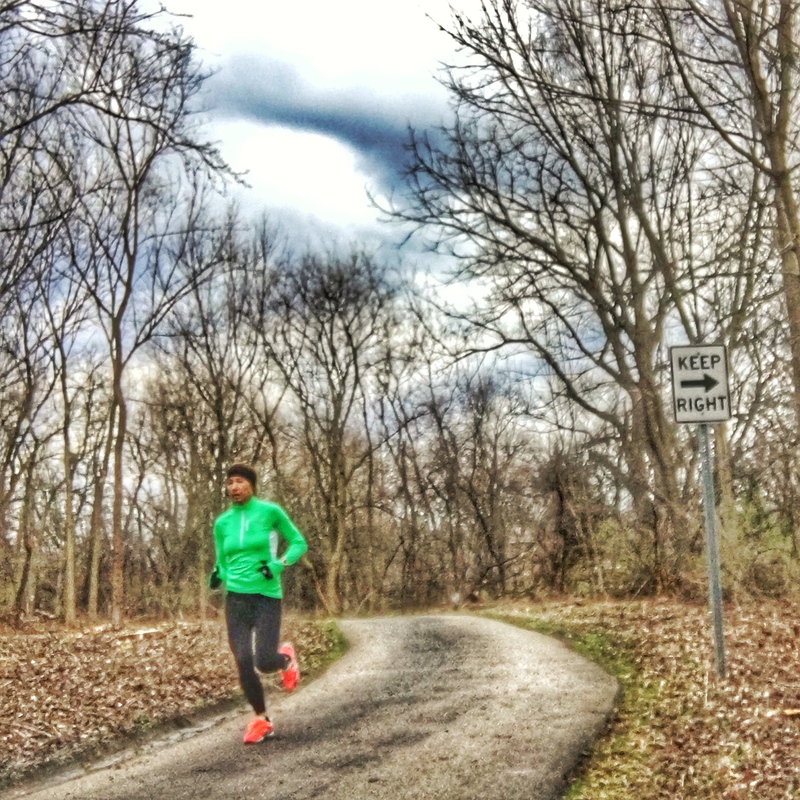 Between the wind and the 45 degree temps, I initially needed to do a lot of self-talk to keep moving forward. There were a few points along the ride where I thought the wind was going to blow me over. I've never ridden in those conditions before, and it was a little unnerving. The sun started to come out and it warmed up nicely. I rode to the Forest Preserve and promptly was yelled at by an elderly man who I passed on the path. Apparently he didn't hear me coming and wasn't happy about it. Why are people so angry and confrontational? Everyone else that I passed was friendly. When I got home, I was surprised to see my time: 1:25:58/20.24 miles. If nothing else comes out of this crazy training plan, I am getting faster and stronger on the bike! This is actually the same spot on the bike path as my picture above. The sun came out and it warmed up during my ride. Super windy, though! After this week's training, I'm feeling fairly confident about my marathon. Even though my running hasn't been optimal, I think I had plenty in the tank before I pulled back on the running. I wasn't surprised when I saw my running mileage for March was 57.68. 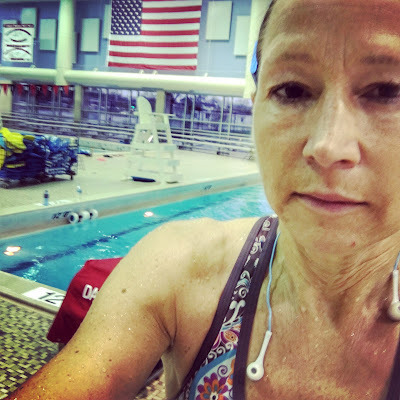 The cycling (there was a lot in March: 166 miles) and the pool running have kept me on track. The long run today was tough, but I got it done. And Kristina promises me that we will run slow (she's going to have to reel me in) and that should help my foot a lot. If you've gotten this far, thanks for sticking with me. It's been an interesting journey, if nothing else. Finally THANK YOU to everyone who suggested the pool running and the waterproof iPod shuffle. There will be pool running for a while after the marathon, and I'll be using that thing for a while. I need the music to move me around the pool. Listening to my running playlist summons up those endorphins I get when I'm on the road. The pool running has been a great backup plan. How was your week? Anyone else training through injuries? Tell me your injury success stories! Snow, anyone? 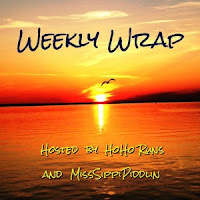 I'm linking up with Tricia and Holly for their Weekly Wrap! I love seeing what everyone else is doing. Have a great week! It's spring and everyone is heading outside to run and bike. 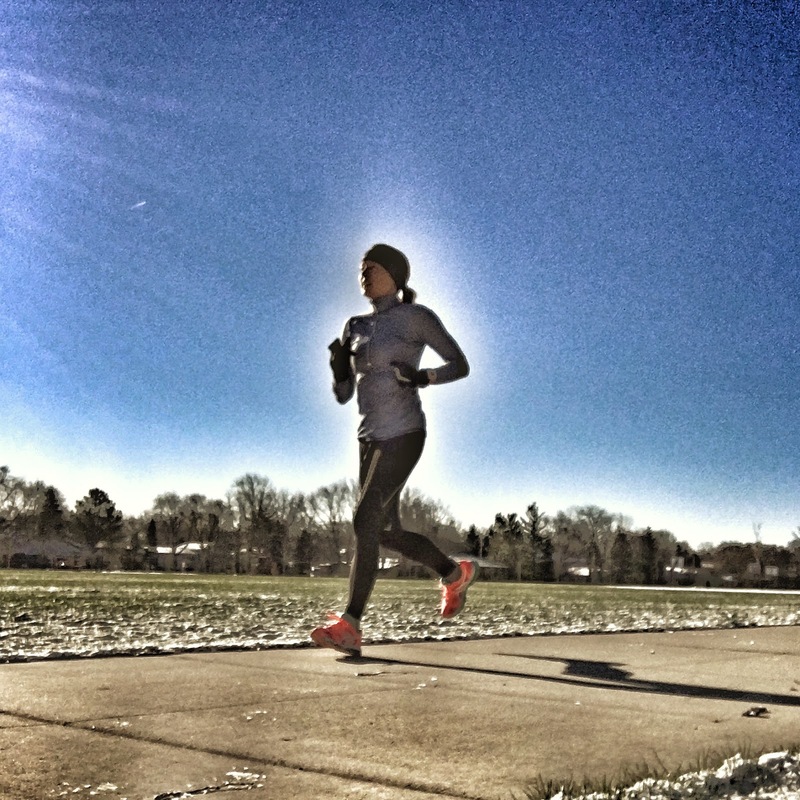 It's the best time of year to be an endurance athlete. It's also the best time of year to get run down by a distracted driver. 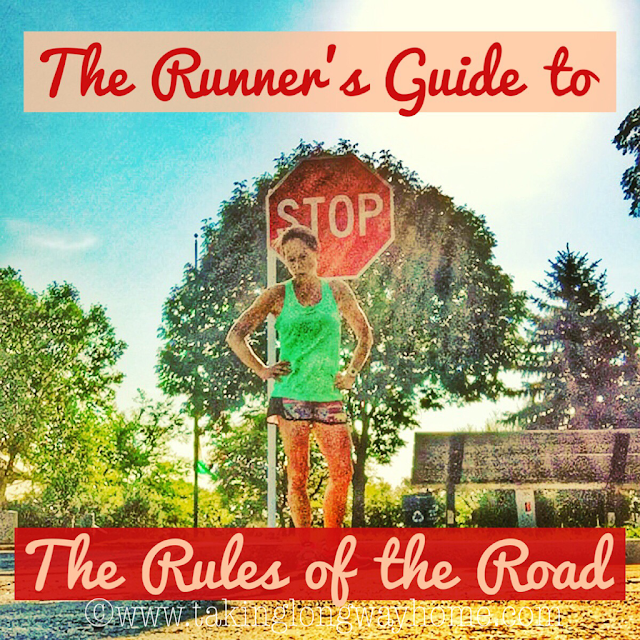 It's up to the runner to be aware of the hazards on the road. Plus now that I've completed my online driving school aka punishment for talking on my phone while driving, I'm pretty much an expert on this subject. 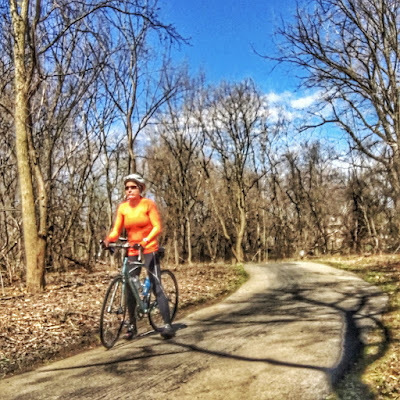 Last week on my epic 45 mile bike ride, I was huffing and puffing my way towards home. An unhelmeted guy on a bike was coming towards me, gesturing wildly. "Move over!" he screeched, waving me to the opposite side of the street. "You're going the wrong way!" he said. Ok, buddy. Have another cocktail. I was riding WITH traffic because bicycles must follow the car rules of the road. As if I'd take advice from an idiot riding helmetless into traffic. Then I read this story about a runner who was pulled over by the police for running in the road with traffic. 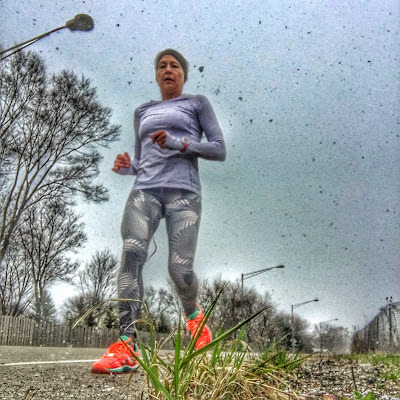 In many states, runners can use both the road and the sidewalk, but in Michigan where this story took place, there's a law against running in the road when there is a sidewalk present. If there is no sidewalk, then pedestrians have to run facing traffic. This is the law where I live as well. Since I mostly run in the road, it appears that I am a law breaking runner, although I do run facing oncoming traffic. I run past the police all the time and I've never gotten pulled over. I'm sure it's because they are on their way to ticket motorists who are talking on their cell phones. Ok, I get the whole running on the sidewalk thing, except that where I live, the sidewalks are in questionable condition, pocked with holes and uneven surfaces. We all know that I'm accident prone. I freely admit to tripping over the curb in front of Target and face planting into the bike rack. This stunt, which bought me 5 stitches in my face and a ride to the ER in an ambulance happened a few years back when I was dashing across the parking lot to get into the store. Why I was running, I don't know. Maybe it was the day after Halloween and all the chocolate was 50% off. But it just proves my point that sidewalks are dangerous for runners. Not only are the conditions of most sidewalks questionable, sometimes they are impassable. Most of the houses where I live were mostly built in the 1960s, in the days before people drove giant SUVs. When I'm running through my neighborhood, I often reflect on how some people's cars seem bigger than their houses. And many of the homes have one car garages, which is hard to fathom in today's world where everyone in the family seems to have a car. So there are a lot of cars parked in the driveways, across the sidewalks, bumper to bumper, which means I have nowhere to run but in the street. If you do run in the road, always run against traffic. The cars might not see you, but at least you can see them coming. Cars don't always like that I run in the road, which is why I try to wear high visibility clothing. But I guess if a driver is looking down at their phone or putting on makeup, then it doesn't matter what I'm wearing--they can't see me. It's a risk I take every time I go out for a run or even a bike ride for that matter. And even when the drivers can see me, there have been attempts to run me off the road. While I hate to profile the drivers who tend to do that, it seems like most are elderly gentlemen driving very large sedans. Usually with a little white haired lady in the front street. Everyone advises against wearing headphones while you are running. It's just common sense. Not only does listening to music make it tougher for you to hear what's going on around you (like an approaching car), it also makes you less aware. We all know I love to run with my music. Sometimes I get so into the zone--my music perfectly matches my pace--that I kind of forget where I am. If you are running in the road, that's just a recipe for disaster. I don't know if it's a law everywhere, but where I live, cars must stop for pedestrians in the crosswalk. Even though it's the law, I can't even count the number of times I've almost been run down in the crosswalks by cars who blow the stop signs. It happens to me at least once a week. Sometimes I see the police sitting in the road to monitor them, but they don't do it during the morning rush. I recently had a really close call crossing the street to the hospital where I work. I was in the crosswalk when a car came flying down the street, honked at me, swerved around me, and gave me multiple views of his business finger. No matter what, if you have a close call with a car, let it go and move on. As angry as you might be, don't give the car a punch or the driver the finger. Remember that you aren't supposed to be running in the road. Plus you don't want to be that a**hole runner and make things bad for all us runners. That runner in the story above? She ended up getting into a tussle with the police officer and spit on him. Do you think he's going to give a free pass to the next runner he catches in the road? I always wave a greeting to cars who stop to let me cross, even if I have the right of way. And yes, I always wave to the police when they drive by. But he hasn't run a marathon. Bottom line: if you run in the road, all your spidey senses have to be engaged. Remember that story I shared a few years ago about the cyclist getting hit by the newspaper delivery man in my neighborhood? That driver was a menace. I had a lot of experience avoiding him--sometimes having to run up onto the parkway to avoid getting hit. He would drive all over the road to deliver his papers. He also drove like he was in a time trial to get his papers delivered as quickly as possible. Cyclists are more likely to be hit by cars, but we've all read stories about runners vs cars. Did I miss anything? 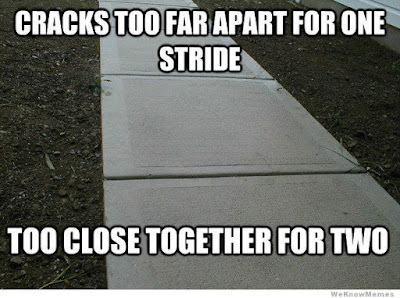 Sidewalk or road? With traffic or against? What do you do when you encounter an inconsiderate motorist? I don't even know if I have 5 things here but I'm linking up with the DCTrifecta for the Friday Five! Courtney, Mar, and Cynthia host the best link up! So many great blogs to read. Check it out!